Every year, we are able to do what we do in service, social, and music events by putting on successful fundraisers throughout each quarter. Generally, you can find us throughout the quarter selling Baked Goods, Succulents, Holiday Jars, and more on Bruin Walk. Every now and then, we do host profit shares in local restaurants around Westwood! 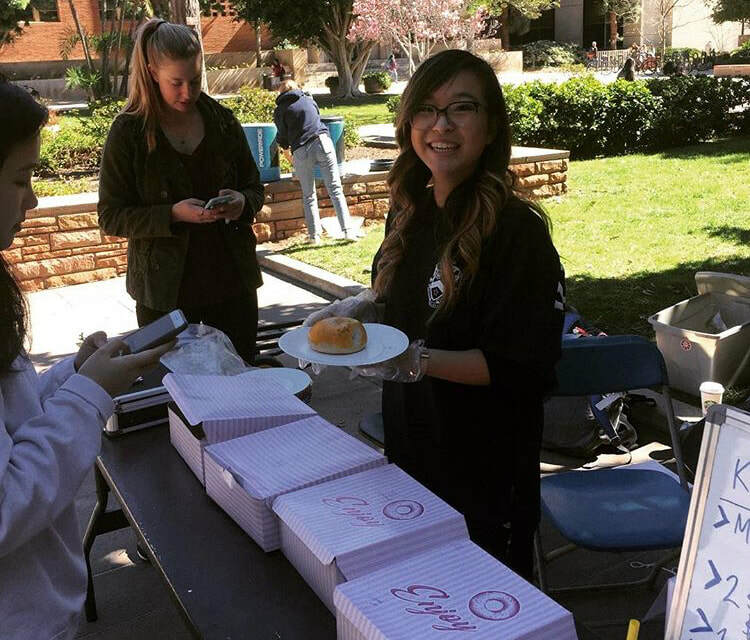 We also enjoy putting on our more regular fundraisers, such as our quarterly Boba and Dim Sum fundraiser, and our Rivalry Week T-Shirt Sale during fall quarter. Make sure to stop by and support the Psi Chapter Kappa Kappa Psi by engaging in our regular fundraisers!